Paint missing from inside of the rim - this not visible while lid is closed and does not impact the function of the kettle. kettle powers up and boils water . The letters are 3D on these new KLF03 models. Typhoon Retro Whistling Kettle Pastel Colours Cream Induction Stove Top. Condition is New. Dispatched with Royal Mail 2nd Class. 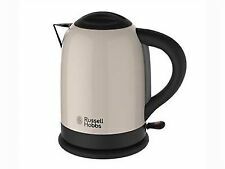 Morphy Richards Pyramid 3kW 1.5L Rapid Boil Jug Kettle - Sand. Used, kettle is fully functioning . The letters are 3D on the new KLF03 Models. Finished in a red gloss with stainless steel accents, the Canterbury Kettle is neutral yet sleek, a good addition to any kitchen. The push button lid ensures it is simple to open and fill, simply press the button to automatically release the lid. 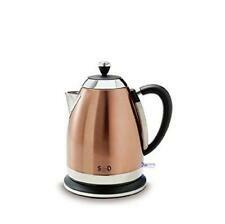 1.8 L Cordless Kettle 2200W SQ Professional. 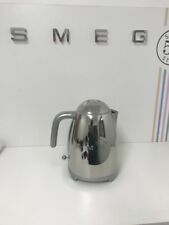 This high quality kettle is an absolute must have for those who love coffee, tea or any other hot drink. Have the best tea pouring experience with the wide spout. The water window on your Morphy Richards kettle makes sure you can easily view the level of water inside your kettle. The 360 degree cordless base makes it easy to use your Morphy Richards kettle whether you are left or right handed. 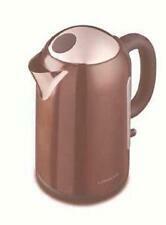 Dualit Cream Kettle. Condition is Used. Dispatched with Royal Mail 2nd Class. Just needs descaling works perfectly. 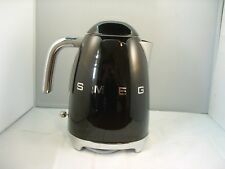 Dualit DMK1 1.5L Jug Kettle in Polished Stainless Steel-Black. Condition is virtually new, as it was kept in a bedroom and used only a handful of times. Any questions, just ask. 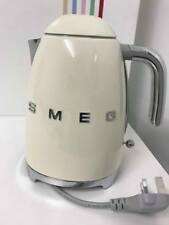 Morphy Richards 102032 3kW 1.5L Accents Pyramid Kettle - Cream. Cream pyramid kettle. Condition is used - Seller refurbished. Descaled & cleaned. Fully working order. The handle has been cracked and repaired. This does not affect its functionality, it is purely cosmetic. Pictures show all interior useage marks. The make is Maison from BHS. Please note that the filter is not functional, although I have left it fitted, in case you choose to source a replacement. Dispatched with EBay shutl. Collection available from Easingwold YO61 3DJ. Cash on collection also available or PayPal. The Classic Kettle is the quietest kettle that Dualit have designed. So you can be assured that the Dualit Classic Kettle is one of the quietest you can buy. We are delighted to announce that the Dualit Classic kettle in Copper has won the Excellence in Housewares Awards 2015. Dualit JKT3 2.3kW 1.5L Rapid Boil Jug Kettle - Black. 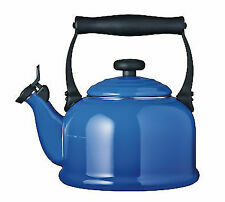 High-quality kettle with stainless steel whistle covered with a heat-resistant coating. The practical cover opens for easy filling and cleaning of the kettle. Ergonomically designed handle with a non-heating handle and whistle. Haden Hove Smoke Grey Kettle 1.7L. Introducing the Hove range by Haden. 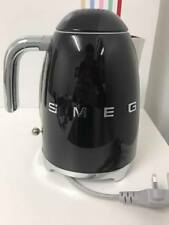 Available in three colours as a kettle and two-slice toaster. The contemporary colours in the Hove range are sure to leave your kitchen looking super sleek and stylish!